Underground excavations are naturally under deteriorating environments due to corrosive ground water, type of minerals, and rock mass structures. The abundant of water (e.g., humidity and the inflow of groundwater), and the presence of chemical materials are among the main reasons creating such environments. Rock formations also contain minerals, which may be dissolved in the stream of groundwater and react with support measures (e.g., rock bolts, shotcrete and concrete linings). Deterioration is the main factor leading to the decay of the support systems and consequently affecting their functioning. The deterioration of support measures may result in significant consequences such as the failure of supports and the collapse of underground excavations, in long-term. It is, therefore, vitally required to investigate the long-term deterioration and behaviour of supports, and to find suitable approaches for mitigating the undesirable consequences of this natural phenomenon. 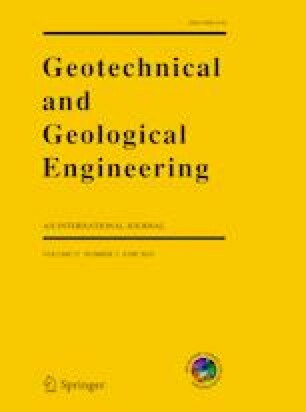 Hence, the main scope of this study is to investigate the hydrogeological factors resulting in the deterioration of the segmental concrete linings at Zagros water transfer tunnel, located in the West of Iran. The key factors governing the deterioration mechanisms are identified and discussed based on a combination of field observation, laboratory testing and the literature studying of similar cases. The outcomes of these studies indicate that sulfate attack has been the crucial mechanism leading to the deterioration of the concrete linings in the Zagros tunnel. The hydrogeological condition of the tunnel well satisfies the four risk factors previously found by the UK Thaumasite Expert Group. The tunnel segmental concrete linings are, therefore, highly prone to sulfate attack. This study also shows that tunnelling through H2S and water bearing grounds has been the main reason providing such a deteriorating environment. The existence of organic materials (e.g., oil and coal) in the surrounding sedimentary rocks is expected to be the main source of H2S gases. The study is eventually complemented by proposing a few practical techniques to prevent further damage of the segmental linings, due to chemo-physical deteriorations. The technical supports provided by Dr. B. Rafiei, Dr. M. Tadayon, Dr. M. Heidari, Mr. M. Zaker Esteghamati and Mr. M. Nazemi, during the course of this study, are highly appreciated.